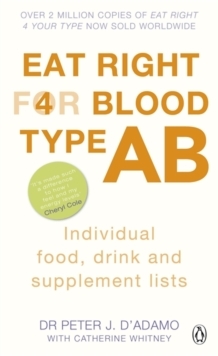 Stay healthy and achieve your ideal weight with the help of this portable and personal blood type guide. ___________It's science! 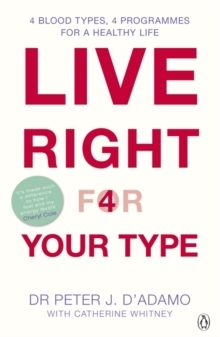 Different blood types mean different body chemistries. Eating foods that your blood type can process easily can help you lose weight and ward off illness - as well as giving you bags of energy. 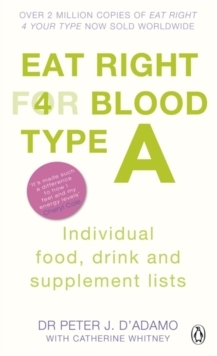 Based on your genetic make-up, EAT RIGHT 4 YOUR BLOOD TYPE means eating foods that are compatible with your individual chemistry. 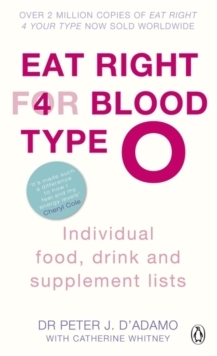 For example, if your blood type is B, then you will enjoy your best health on a varied diet, including plenty of protein and some dairy. 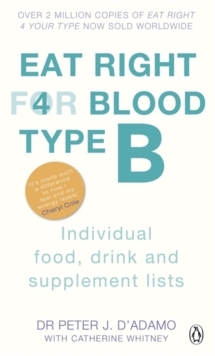 Inside are comprehensive listings of what's right for Type B in all of the main food, drink and supplement categories, so you can avoid putting on those extra pounds or feeling unwell from eating the wrong thing. Soon you'll be on your way to developing the perfect prescription plan for your type.